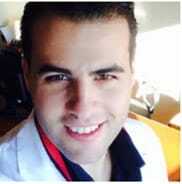 Marco Paturzo (MSN, RN) is research fellow in nursing sciences. He obtained the BSN in 2011 and the MSN in 2013. Currently he is doctoral student in nursing science and public health. The research area of Mr Paturo is focused on the self-care strategies adopted by family members in the home management of people with heart failure. Mr Paturzo is adopting in his research multilevel approaces including mixed method design.